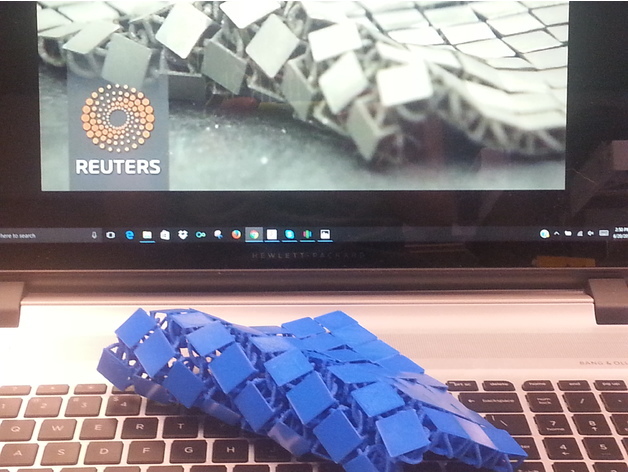 NASA Chainmail Fabric #3DThursday #3DPrinting « Adafruit Industries – Makers, hackers, artists, designers and engineers! A few months back NASA showed off some awesome space fabric. Now you can try to print your own version!! This is my attempt at recreating NASA’s 3D printed chainmail fabric/armor. I could not find any STL files online that did not fail, so I made my own in Fusion 360! I hope that this can be a fun project for this community.